Reiki (pronounced "Ray Key") is a Japanese healing art used for stress reduction, deep relaxation, and pain relief that also promotes healing in mind, body & spirit. The name is a combination of two Japanese words “rei” and “ki”, meaning "universal life force energy". Reiki is intelligent energy, being the positive life force itself which flows through all things, and it knows where healing and balance is needed within each individual. It's essence is that of pure Divine Love energy. Reiki is a gentle technique that can be done “hands-on” in person, or remotely over a distance as the energy channeled by the Reiki Master is not confined by the dimensions of space and time. The Reiki Practitioner channels the "life force energy" to help people activate their own innate healing processes. Reiki harmonizes the subtle energies within our bodies and addresses physical, emotional, mental and spiritual imbalances. Reiki is now offered in many hospitals across the U.S. and it also works very safely in conjunction with all other medical or therapeutic techniques to relieve side effects and promote recovery. Remote (or Distance) Reiki is a wonderful option for those who are not able to do an in-person "hands on" Reiki session...such as people who are ill or who live in a different location. The unlimited energetic abilities of Reiki allow it to be sent across distance, time, and space from the practitioner to the client. Remote Reiki Healing Sessions can be scheduled to help maintain a healthy immune system, and/or during stressful times, such as just before and after surgeries, childbirth, when you are suffering from cold or flu, or are experiencing sadness or grief, or recovering from emotional trauma. Additionally, clients can also purchase Remote Reiki Treatments for family members who are ill, home-bound seniors, or family and friends in hospitals or nursing homes. After you've made your payment via the PayPal button below, you will be redirected to a page with instructions for sending us your contact & scheduling information for your treatment(s). We will need your full name, email address, cell or home phone number, and three possible preferences for your appointment Date/Time, and if possible, a recent photo of yourself. 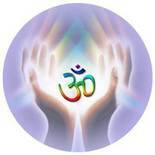 Your certified Reiki Master (Alison Bonham) will contact you to confirm the Date/Time of your Remote Reiki Appointment. Alison will also follow up with you by email after your session is completed, and will share any additional intuitive insights that might have come through during your session. During your appointment time, it's best if you find a quiet place to lie down or sit without disturbances, so you are relaxed & better able to receive the healing energies. It's okay if you fall asleep, read or listen to music, as it will not affect your ability to receive Reiki. Think of this as your special time to "escape" from your daily routine to de-stress. Most people become deeply relaxed during a session, but sometimes you may also feel slight sensations of heat or cold, tingling, or small muscle twitches etc… these are all normal & are simply caused by energy moving in your body. You will be fully clothed except for your shoes. Your Reiki Practitioner will ask you to lay down on a massage table or sit in a comfy chair, if you’re unable to recline comfortably. During the Reiki healing session, your Reiki Master (Alison) will position her hands lightly on, or a few inches above, different parts of your body, from your head to your toes, that relate directly to the seven main Chakras (energy centers). Currently, Dragonflower Holistic Arts offers a Mobile Reiki Service in the Baltimore, Maryland and Washington DC metro areas including Olney, Brookeville, Sandy Spring, Ashton, Highland, Fulton, Clarksville, Burtonsville, & Silver Spring. Reiki Master Alison Bonham can visit your home, office, hospice, or medical facility (with prior permission) to perform Reiki treatments. Please note...there is a travel fee included with the regular session rate. Please contact us for service rates and to schedule your in-person Reiki appointment. Thank you! Please Note: ** When you purchase a group of sessions at this special rate, you can use them however you'd like (i.e...daily, weekly monthly, etc.) however, we do request that use them within six months of purchase date. Many people like to use the sessions fairly close together for maximum effect, but you can also spread the sessions farther apart as "maintenance". If you have questions about what may work best for your situation, please email your Reiki Master Alison on the Contact Page. Thank you!